operating in 1876, but the nickname is as old as the American West. was adamant that no one call his fair city by such a sliced-up moniker. " 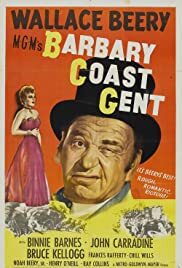 "The Barbary Coast", although granted it was technically the red light (and music hall ) district, it was occasionally used in the early days (1850's to '80's) mean the city itself. "Sailors, who were frequently the targets of the pretty waiter girls, had cause to dread the area because the art of shanghaiing was perfected here. Many a sailor woke up after a night's leave to find himself unexpectedly on another ship bound for some faraway port. The verb to "shanghai" was first coined on the Barbary Coast." 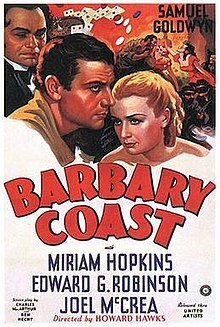 "The Barbary Coast is the haunt of the low and the vile of every kind. The petty thief, the house burglar, the tramp, the whoremonger, lewd women, cutthroats, murderers, all are found here. Dance-halls and concert-saloons, where blear-eyed men and faded women drink vile liquor, smoke offensive tobacco, engage in vulgar conduct, sing obscene songs and say and do everything to heap upon themselves more degradation, are numerous. Low gambling houses, thronged with riot-loving rowdies, in all stages of intoxication, are there. Opium dens, where heathen Chinese and God-forsaken men and women are sprawled in miscellaneous confusion, disgustingly drowsy or completely overcome, are there. Licentiousness, debauchery, pollution, loathsome disease, insanity from dissipation, misery, poverty, wealth, profanity, blasphemy, and death, are there. And Hell, yawning to receive the putrid mass, is there also.— Asbury, in Benjamin Estelle Lloyd's Lights and Shades of San Francisco (1876)"
I want me some o' that. Last edited by adorshki; 02-08-2019 at 03:46 PM. Made sense to me but I had to Venn diagram it out. Well it makes sense if it were better expressed. Assume a default (*snicker*) level of caring, that occurs in the absence of any action on my part. "I could care less" means the default is active and if I took the time and effort to figure out how much I cared, there was a chance that I would end up caring less than the default. It is a snark aimed at the person who thinks something is worth caring about and essentially tells them they are wasting my time. "I couldn't care less" means I have considered the matter and my level of caring, after consideration, is at its minimum possible value. Both lead to the same end state - the thing is insignificant, but the former includes "and you wasted my time by bringing it up". This is yet another example where some people force English to have a precision that does not come naturally to the language or other people. The precision helps to bridge the gap between people and computers (or mathematics or physics) but at a cost of less comprehension for some people. And if you think I am bad, I was the person on my team who tended to write documentation, requirements or do final editing. Even in the 1970's you could get a "computer job" and not know how to make a subject and a verb agree. My education was not lacking in this area and I got the job because I was the only person who could do it. Kindred spirits, Fro. Kindred spirits!